So that time of year has come again. You look back, and while you recall the fun times and the happy moments, there’s an underlying guilt that permeates each memory. Didn’t you say that you were going to work out at least twice a week? Weren’t you planning to save more money? You resolve that this year will be different. 2015 will be the time for change, you will be a new man/woman, you will be productive, inspiring, successful, skinny, and rich. You will check off all the things on the list of ‘Ways To Be A Better Person’, and meet all your goals! And gosh, there are so many goals. But didn’t you say that last year? And the year before that? Your thoughts, while commendable, are a broken record on repeat. New Year’s resolutions stay unfulfilled, and will always remain that dusty list you wrote in marker on the 2nd of January, confident you were going to cross them all off with pride. Maybe, New Year’s resolutions just don’t work. 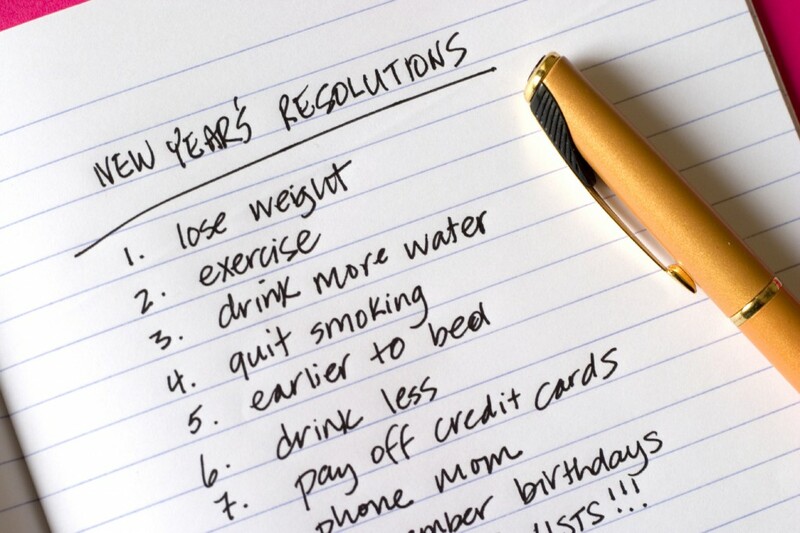 Forbes reported in 2013 that only 8% of people who make new years resolutions actually keep them. That is a frighteningly low statistic, and one damning enough for anyone to question why New Year’s resolutions are made in the first place. Thing is, as long as your goals are confined to the New Year’s skin, they will never hold the weight and urgency that real goals need. Goals are made of urgency and need, and while the inspiration of a new juncture in life may inspire great initiatives, the drive behind it is as artificial as the pride you feel from ‘making it through another year’. 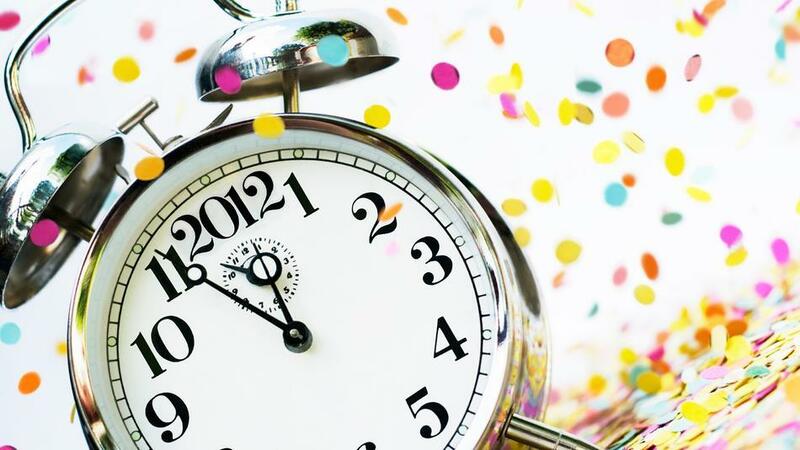 New Year’s resolutions are often obscure goals wrapped in the pretty and optimism of a new year, coupled with some alcohol and a lot of marketing mish-mash. But real goals are often gritty, painful, and difficult to get through. Think of every goal you set as a project. The eventual goal is often that a good habit is formed, like exercising regularly or visiting your parents more often, and while the general consensus says that it takes 21 days for a habit to form, it depends on the person and the goal. 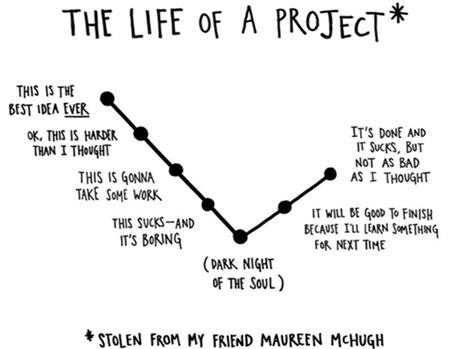 You’ll need to make it through every stage of that project, even what Austin Kleon describes in this telling image as the “Dark Night Of The Soul”, but remember: not every step will be a New Year’s Eve party, and not every goal can be met on a champagne high. So stop making New Year’s Resolutions. Instead, make real resolutions, real goals. Make a game plan, stick to it, and make yourself a better deadline than the beginning of 2016. Better yet, start now, before the New Year reaches us. You don’t need a perfect day to do anything, you just need a day. If you end up on New Year’s Eve of 2015 parroting the same denial and “oh well there’s always next year” – well, you might end up never doing any of those things. Don’t say I didn’t warn you.